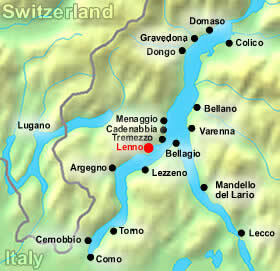 Here’s where we are (red dot)…Watch the Lenno Italy Video! Lenno hotels are often as charming as their surroundings. The calm waters of this tiny fishing village offer you a sense of peace and tranquility.